Claris Lifesciences Ltd (BSE: 533288) counter in BSE, on Thursday, witnessed a significant accumulation of 4.01 lakh shares by the noted FII, Barclays Capital Mauritius Ltd. However, one promoter group entity, Aditya Sushilkumar Handa, continued his selling spree on Thursday, offloading 5.96 lakh shares. The deals were disclosed at Bombay Stock Exchange after trading hours on Thursday. This is the fourth time in the last four months that Aditya Handa has been selling, but as StockExplain News reported on all these occasions, there were reputable counterparty institutional buyers like IHAG Privatbank, Signet Healthcare, & Barclays. Despite the larger and continued promoter sells, the scrip soared to its day’s upper limit of nearly 20%, as the market discovered that US FDA has published on its website a close-out letter to Claris, regarding the company’s successful compliance of FDA’s requirements. Claris Lifesciences confirmed the development, through a disclosure at BSE, just minutes before trading closed for the day. “FDA may issue a Warning Letter close-out letter ("close-out letter") once the Agency has completed an evaluation of corrective actions undertaken by a firm in response to a Warning Letter. A close-out letter may issue when, based on FDA’s evaluation, the firm has taken corrective action to address the violations contained in the Warning Letter. Going by this explanation, it is clear that Claris is out of the woods for now, as its facilities had gone through a re-audit by FDA in February, and the sterile injectables player had also recently disclosed that it had replied promptly to three further queries from the American drugs regulator during the June quarter. The letter, dated two days ago, is addressed to Arjun S Handa, CEO & MD of Claris, and written by Maan Abduldayern, Compliance Officer of FDA’s Division of International Drug Quality. However, Claris in its disclosure tried to play it safe, citing that it is still not in direct receipt of FDA’s Close-Out Letter, and warned that the disclosure has forward-looking statements. It is still not clear what would be the time-frame in which Claris would be able to resume selling in USA, and whether this process is automatic after receiving the Close-Out Letter. The leading parenteral pharmaceutical company has been badly hit since 2010 by the FDA ban, as US continues to be its most significant market. Apart from sales and profits getting affected, valuations of Claris Lifesciences were also hit, also due to the fact that a key supply agreement with pharma major, Pfizer Inc was at stake. Today’s market response is in tune with the wider market’s belief that Claris can get a better valuation than the current 10.76 times TTM P/E, especially since competitors like Strides Arcolab Ltd are trading at 16.62 times TTM P/E (after removing Strides’ one-off high March quarter earnings, and annualizing the rest). Going by that comparison, there is significant upside potential remaining in the scrip. However, such comparisons are purely on a price-earnings front, and there are areas, for example diversification and governance track-record, where the two players are not strictly comparable. Obviously, much will depend on the calls institutional investors in the counter, as well as outside (like various pharma funds that are still to participate) will take in the coming days. The Claris scrip is, of course, ripe for some profit booking as it has more than doubled in its value from its 52-Week Low of Rs. 98.10 recorded during mid December. However, on Thursday, there were no identifiable sellers apart from the one promoter entity. Though volumes surged nearly 13 times of the 30-Day Average Volume, no institutional seller was individually found selling more than 0.50% of the equity. Key non-promoter investors in Claris Lifesciences are, First Carlyle Ventures III, Tree Line Asia Master Fund (Singapore), Max New York Life Insurance Company, Privatbank IHAG Zurich AG, Copthall Mauritius Investment, and individual investor Prof. Shivanand Mankekar. Barclays’ buy on Thursday amounts to a 0.63% stake, with its total stake now likely at 1.81%. This FII invested Rs. 6.50 crore to pick up the additional stake at Rs. 162 a share. 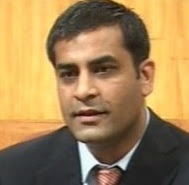 Aditya Handa who is a Non-Executive Director with the pharma firm, sold an additional 0.93% stake on Thursday at Rs. 162.09 a share, raising Rs. 9.66 crore. Interestingly he made a 20% notional loss on Thursday, while both the buys of Barclays stand at a mark-to-market gain of 20%. Apart from institutional calls on the scrip, the decision Aditya Handa takes on his remaining stake will also be crucial for setting the direction. This promoter entity is still holding around 5.29% direct stake in the firm. On Thursday, Claris Lifesciences closed trade in BSE at Rs. 207, up by 19.69%, whereas the key BSE Sensex closed down by 0.40%.